In their 126th season, the Philadelphia Phillies have won only the second title in the franchise’s history. Ending the weirdest, most bizarre World Series game ever, Brad Lidge threw three hellacious, unhittable sliders and struck out Eric Hinske, ending the World Series and Philadelphia’s 25 year championship drought. I’m thrilled for Charlie Manuel and for 45-year-old Jamie Moyer, who grew up in the Philly suburbs and who played hookey from high school to attend the 1980 victory parade. But most of all, I am thrilled for the long-suffering fans of Philadelphia and for Harry Kalas, who finally got to call another world championship, 28 years later. There was a certain symmetry to it: 08 is the analog of 80. Lidge ended this World Series just as Tug McGraw ended the 1980 Series–with a strikeout and then bedlam. Lidge wears number 54, while Tug McGraw wore number 45. And Lidge did it with just a little bit of Tug there with him. The night of the first game in Philadelphia, Tug’s son, singer Tim McGraw, brought out the first ball and surreptitiously sprinkled some of his father’s ashes on the pitching mound. Somewhere, Tugger’s Irish eyes are twinkling today. And Richie Ashburn is smiling down on his adopted city. And so is John Vukovich, the long-time third base coach and Phillies fixture, who died of brain cancer in March 2007. The 100 season (4 sports, 25 seasons) drought is finally over! Congratulations to my Phillies and congratulations to Philadelphia. Savor every moment. A new idea has sprung up on how to save–and eventually open to the public–Stafford County’s best surviving cluster of Civil War sites. The Board of Supervisors may partner with a preservation group, Friends of Stafford Civil War Sites, to accomplish those ends. FSCWS wants to create a park to interpret and protect sites near Accokeek Creek where the Union army regrouped after the setbacks of 1862-63. The 25-acre tract is part of the 760-acre landfill administered by the Rappahannock Regional Solid Waste Management Board. Within three years, FSCWS would raise the money to build a one-lane, one-way road linking the tract’s earthworks, regimental campsites, an 1863 log road and other historic features. The forts, camps and road were part of what FSCWS has called the “Valley Forge of the Civil War.” Stafford’s camps–only a few of which survive–are where Union troops recovered from failures at Fredericksburg and Chancellorsville and early 1863’s “Mud March,” gaining the strength to prevail at Gettysburg. Supervisor Harry E. Crisp II introduced the plan, which he and his colleagues voted 7-0 Tuesday night to send to the county Historical Commission. Supervisors requested a report within 30 days. In another unanimous vote, supervisors asked the Planning Commission to amend the county land-use plan to include the historic tract as a public park. Beforehand, the board heard an impassioned plea to act from Stafford historian D.P. Newton, founder of the White Oak Museum and an FSCWS director. “This is the best, if not the last, remaining piece of ground that can present the history of the Civil War to residents of Stafford and visitors to the area,” Newton said. He noted that in 1940, the U.S. government proposed preserving the largest concentration of regimental camps in eastern Stafford. It dropped the plan when America went to war after the attack on Pearl Harbor. Today, those sites are gone, buried under a sea of subdivisions, Newton said. “If you’re going to build a park, this is the only place you’ve got left,” he said of the Accokeek Creek tract. In addition to financing the park’s access road, FSCWS has agreed to build trails, create a picnic area and install historical markers. To get started, FSCWS needs about $10,000 in seed money for engineering work to design the road and estimate construction costs. But even that small expense is a concern at a time when Stafford is cutting its budget and considering layoffs, Supervisor Mark Dudenhefer said. FSCWS hopes to open the park by 2011, the 150th anniversary of the start of the Civil War, which is expected to foster fresh interest in the conflict and more tourism at historic sites. Since 2005, FSCWS has worked with the county and builders to preserve Stafford’s remaining camps and earthworks, post roadside markers and erect a granite monument to the soldiers who manned one redoubt that was recently bulldozed for a housing development. The proposed park tract in central Stafford features 12 historic sites. Its forts were built to defend against a feared attack by Confederate cavalry. A network of such earthworks protected the Union encampments in Stafford, home to at least 120,000 troops, and the army’s bustling supply depot at Aquia Landing on the Potomac River. FORT 1: This two-faced, 248-foot-long Union army battery has two gun platforms that may have held 3-inch ordnance rifles or 12-pound Napoleon cannons. At its center is a square, 9-foot-deep supply pit or blockhouse. The fort area includes a zigzag trench and rifle pits. FORT 2: This three-faced, 210-foot-long battery had four or five cannons. FORT 3: This three-faced battery, which may have held six guns, included a heavily built blockhouse with below-ground storage for powder and shells. WINTER CAMPS: A picket post and two dug-in winter camps, which had log shelters with fireplaces for the soldiers, are near the forts. One camp has what is believed to have been an officers’ quarters made of sandstone. CORDUROY ROAD: The area’s wartime road network included a pine-log road, built so the Army of the Potomac could move wagons and heavy guns through boggy areas. BRIDGE REMAINS: Sandstone abutments survive from a bridge that crossed a creek for an 18th-century road that was a major route for the Union army’s 11th Corps. QUARRIES: Two late 18th-century sandstone quarries, one of which appears to have later become a mill, speak to Stafford’s role as a provider of building stone. Cut stone was put on skids and pulled by oxen or horses, or loaded onto shallow scows and taken downstream on Accokeek Creek. What a treasure! To see an actual corduroyed road still in existence? Wow…. $10,000 is nothing to save such a site and begin the process of getting it ready for public access. Surely someone will step forward and donate the necessary money to do so…. Last night’s game 5 of the World Series was the sports equivalent of needing a cold shower. The game started in a fine mist, and the weather steadily and progressively deteriorated as the game went on. By the sixth inning, the field was a soggy mess, and it was unplayable. It was also about 40 degrees, with whipping winds. Consequently, the game was suspended with the score 2-2 at the end of the top of the sixth inning. The weather in Philly is supposed to be just as bad today, if not worse. The game never should have been started. It was unfair to both teams, and it would have been unfair and unfulfilling for the game to be rain-shortened and for the Phillies to win the World Series that way. To say that was frustrating does not do it justice. 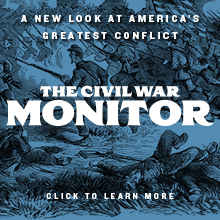 Back in August, Rob Shenk, the Director of Internet Strategy and Development for the Civil War Preservation Trust, contacted me and asked me whether I would be interested in being featured in a piece on blogging the Civil War that he was developing for the CWPT’s web site. I said sure and had fun putting it together. The results of that collaboration have been published to the CWPT’s web site, and can be found here. Thanks to Rob for asking. I hope you all enjoy. I attended my first meeting of the Buffington Island Battlefield Preservation Foundation on Saturday. The meeting was held at the facility of the Meigs County Historical Society in Pomeroy, Ohio, which is the nearest town of any consequence to the Buffington Island battlefield. Pomeroy is also the county seat of Meigs County. A couple of months ago, I was named one of the founding voting trustees of the organization, so this was my introduction to the group. It’s taken several years of political haggling and wrangling to get things to this point. Apparently striking a balance between folks from Meigs County and outsiders like me was one of the big hang-ups. Interestingly, the president and vice president are both outsiders, while the secretary and treasurer are local folks from Meigs County. I guess that’s as even a split as is possible. If it works, it’s fine by me. The first order of business was for the trustees–there are nine of us, although the by-laws of the organization call for thirteen; we’re still looking to fill those four slots–to vote for the slate of officers put forward by the same nominating committee that proposed me as a trustee. I was nominated to serve as vice president and agreed to serve in that role if elected. Since I was running unopposed, my election was something of a foregone conclusion, but the formalities need to be obeyed. So, I am now officially the vice president of the BIBPF. As the vice president, I’m also now a member of several committees, including the historical interpretation committee and the fundraising committee. To make a long story short, there is a lot of work yet to be done. Sadly, the sand and gravel country has begun its mining operations there, and a significant portion of the battlefield has been forever destroyed. They do not plan on filling in their ponds when done, so that part of the battlefield will never be restored. It’s sad, but it was inevitable, and there simply is nothing that can be done about it. That ball was set in motion ten years ago, and the Army Corps of Engineers approved the operation, which, in turn, cast the die. The other big problem, of course, is that the Ohio Historical Society owns only four acres of the battlefield. The rest is in private hands, meaning that it’s all threatened. Prior attempts to purchase preservation easements have been met by the locals with great resistance, so we have our work cut out for us. There is no doubt about that. The good news is that the Ohio Civil War Trails Commission plans on running its John Hunt Morgan trail through Meigs County in 2009. Using TEA-21 funds from the Federal government, the trail will bring interpretation and visitors to the battlefield, and we hope to be able to raise its profile among the public. One of our projects will be to come up with some standard interpretation of the battle’s main details, so that we’re ensuring that folks get a consistent interpretation of the events that occurred there. This will be a long-term and challenging process, but I look forward to the challenge. I look forward to working with the other officers and trustees, and I likewise look forward to working with the Civil War Preservation Trust and other similar preservation organizations. I will keep you posted on our progress. RICHMOND, Va. â€“ In the passionate world of Civil War re-enactors, authenticity is everything â€” from uniforms with historically correct stitching to hardtack made from scratch. A battle re-enactment last month pushed realism to the limits: a retired New York City police officer portraying a Union soldier for a documentary film was shot in the shoulder, possibly by a Confederate re-enactor. The shooting sent the 73-year-old to the hospital and left the Isle of Wight Sheriff’s Office in rural southeastern Virginia with a Civil War-style CSI case. Investigators used film to piece together what happened and have narrowed a suspect to one re-enactor. The Sept. 27 injury also sent ripples through the tight-knit re-enactment community, which can be understandably sensitive to public perceptions of thousands of enthusiasts toting swords and firearms in roughhewn uniforms, often on horseback. The shooting of Thomas R. Lord Sr. in a Suffolk park violated the cardinal rule of re-enacting â€” no loaded weapons. Black powder brings the flash and bang to the pageantry, but even that primitive explosive is used gingerly. Re-enactors said Lord’s shooting may have happened in part because walk-ons were used. These are re-enactors who typically are not affiliated with a unit and unfamiliar with the chain of command or safety rules, akin to a football player showing up on game day to play for a team the athlete has never met. Lord’s shooter was among several Confederate re-enactors who showed up at the filming, said John C. Jobe, a member of Lord’s unit who witnessed the shooting. Re-enactors who have worked in filmed battles said the camera itself might have been a factor, saying filmmakers sometimes put realism over safety and ignore the hobby’s strict rules of engagement. The re-enactors who were there when Lord was hurt said they weren’t sure whether the film crew checked for loaded weapons before the battle commenced. Sheriff C.W. “Charlie” Phelps said he didn’t have evidence that the filmmakers were negligent. “I can’t say that anybody dropped the ball,” he said. Lord was shot in the shoulder while portraying a member of the 7th New York Cavalry. The unit answered an Internet casting call from a film company called Alderwerks. Officials with the Virginia Film Office were not familiar with the company or the director, listed on the casting call as Matthew Burchfield, who was credited as a casting assistant on director Terrence Malick’s 2006 film “The New World,” starring Colin Farrell and Christian Bale. In an e-mail to The Associated Press, Burchfield declined to discuss specifics of the filming because of the investigation. Re-enactors’ attention to detail was on display again this month at Cedar Creek Battlefield in northern Virginia, when thousands participated without any serious injuries, according to Jake Jennette, who commanded the Confederate forces that weekend. With the cadence of a retired Marine Corps infantry officer, Jennette ran through a laundry list of inspections his troops must undergo, from weapons inspections to repeated drills. Walk-ons would not be allowed to fight under Jennette’s command. Rookies typically will have faces smudged with powder to signal a new arrival â€” known as “seeing the elephant,” he said. Bayonets are removed, and weapons are aimed upward during a charge. According to witnesses, Lord was raising his arm in victory when a musket ball ripped into him. “I felt like I got hit in the shoulder with a baseball bat,” Lord told The Daily Press of Newport News. He declined interviews with The Associated Press, citing the investigation. The hobby has come a long way from its ragtag origins to the near-fanatical authenticity modern purists demand. The National Park Service allowed 2,500 re-enactors to stage a battle in 1961 on Manassas National Battlefield Park, in what some view as the birth of Civil War re-enacting. A horse-drawn caisson bolted and had to be chased down and someone was knocked down by a cannon blast. The park service no longer allows battlefield re-enactments. Hooper, the editor of the re-enactor magazine, believes the hobby has been surprisingly injury-free despite the frenetic battle scenes. The most serious incident he could recall was a shooting 20 years ago at the re-enactment of the Battle of Gettysburg. A Charlottesville man was wounded when he was accidentally shot by a re-enactor from France, according to news accounts. Phelps said the shooter could face a misdemeanor charge of reckless handling of a firearm up to a felony, malicious wounding. For his part, Hooper said the shooting will only amplify safety. “This will make people, especially the commanders, take a good look at the men in his unit,” he said. Now, I’m not a reenactor and never have been. Candidly, it’s something I have never really understood. However, I recognize its popularity, and I also recognize the need for safety when it takes place. It has to be about trust, or else nobody would put themselves in harm’s way voluntarily. This moron violated that trust and desperately needs to be prosecuted. He needs to spend some time in prison. There is simply no excuse for what he did. None. I’ve already told you about the Monterey Pass Battlefield Association, and I’ve previously mentioned the upcoming November 8 event. However, I want to give it another shout out for a couple of reasons. First, I really believe in the organization and what it’s trying to accomplish. Second, it’s going to be a terrific program. Blue Ridge Summit, Pa. â€“ The One Mountain Foundation will host a special Civil War seminar â€œThunder on the Mountain & the Retreat from Gettysburgâ€. This seminar will explain the Pennsylvania Campaign and why it is important to preserve various sites along the retreat from Gettysburg. Speakers will include Eric Wittenberg and J. David Pertruzzi discussing their new book entitled â€œOne Continuous Fightâ€. Kent Masterson Brown author of the book â€œRetreat from Gettysburgâ€, Ted Alexander author and Chief Historian at Antietam National Battlefield and John A. Miller Civil War Historian of the area and author will also be presenting. Speakers will discuss their areas of expertise. Display setups by local organizations will be promoting area history. Pre-registration post marked by October 10th is $45.00 and will include a lunch, refreshments and snacks. Registration at the door the day of the event will be $60.00, so register early. The seminar will be held at the Blue Ridge Summit Fire Hall just off of Route 16 from 9:00 a.m. to 3:30 p.m. on November 8th, 2008. For more information contact the One Mountain Foundation through their website at www.onemountainfoundation.org or the Monterey Pass Battlefield Association by logging onto www.emmitsburg.net/montereypass. All proceeds from the event will go back into preservation and other interpretational events of the mountaintop. Eric Wittenberg, J. David Petruzzi and Michael Nugent: A talk about key points of their new book â€œOne Continuous Fightâ€. 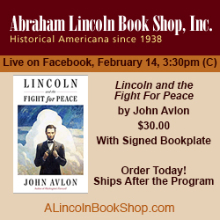 This book is their latest release about the battles during the Confederate retreat from Gettysburg as well as General Meadeâ€™s pursuit of the Confederate Army. 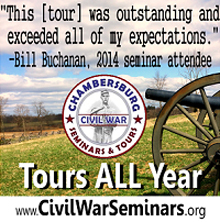 Ted Alexander: Chief Historian at Antietam National Battlefield. Ted will discuss the aftermath of the battle of Gettysburg. The battles of Smithsburg and Hagerstown and how they played a major role during the Pennsylvania Campaign. John A. Miller: Historian of the Emmitsburg and Monterey Areas and author. An informal talk about the battle and the Confederate Retreat through Monterey Pass. John will discuss the first hand accounts by those who fought and marched through Monterey Pass â€œThe Gateway of Agonyâ€. Troy D. Harman: National Park Service Ranger since 1984. His assignments have included historical interpretation at Appomattox Court House National Historic Park (NHP), Fredericksburg & Spotsylvania National Military Park (NMP), Independence NHP, Valley Forge NMP, Eisenhower National Historic Site (NHS), and, since 1989 Gettysburg NMP. He also teaches in the history department at Harrisburg Area Community College and is working on a Ph.D. in history at Lehigh University. Troy received an M.A. from Shippensburg University, and a B.A. from Lynchburg College, both in history. He has presented his book, Leeâ€™s Real Plan at Gettysburg, in seventeen states, and it is in its fourth printing. Troy, his wife Lisa, and 6 year old son Daniel live near Gettysburg. Unfortunately, a scheduling conflict forced Kent Masterson Brown to pull out, but Troy Harman has agreed to step up and take his place. The same problem–uncooperative schedules–also forced our co-author Mike Nugent to pull out of the event, and he will be missed there. Nevertheless, it should be an excellent program for a really worthy cause. Also, on December 13, I will be doing a presentation on the Battle of Trevilian Station for the Louisa County Historical Society as one of its monthly programs. I will be at the Historical Society from 10:30-12:00 that Saturday, giving a talk and then signing books. The Society and I are going to use the opportunity to promote the preservation of the battlefield and to give credit to the Trevilian Station Battlefield Foundation for the extraordinary job it has done in preserving the Civil War’s largest all-cavalry battlefield. If you’re in the area, please come by and say hello. These are my last two events for 2008, which has been a VERY busy year. However, they’re both worthy causes, and I’m looking forward to both. I hope to see some of you there. I usually try not to bore you with war stories from the practice of law, and I have, for the most part, succeeded in keeping them out of this blog. I figure that you’re mostly not interested and that reading about my law practice is not what brings you here each day. However, something happened today that I just had to pass along. It’s not often that something leaves me completely flabbergasted and largely speechless, but it happened today. Background: In the spring of 2007, a lawyer friend called me. His client had been sued, but had blown it off until it was too late. Because he’d been served with process and had not responded to the law suit within the time limits established by the Rules of Civil Procedure, judgment by default was taken against him, and a damages hearing was set. The case involves consumer fraud claims, and by statute, a successful plaintiff can be awarded treble damages and attorney’s fees in such cases. Thus, there was a substantial sum of money at stake. My friend had a scheduling conflict, so he asked me if I would handle this case for his client. I said sure, provided that the client understood that, under the circumstances, there wasn’t going to be a whole lot I could do for him. My friend said he’d explained that to the client, and that the client wanted to dispute the case in spite of the fact that his own negligence had resulted in the default judgment being taken against him. The client retained me. He signed my fee agreement and paid my retainer. I attended the damages hearing and did the best I could. I managed to knock out some of the requested damages, which was good. However, the court still awarded the plaintiff treble damages and set a hearing to determine the amount of her award of attorney’s fees, as permitted by the statute. I filed a motion to vacate the default judgment. I contested the hearing on attorney’s fees. I did all that I could. Not surprisingly, it was not enough. The court denied the motion to vacate the default judgment, and the damages awards became final. At that point, there was little I could do, so I negotiated a deal with plaintiff’s counsel for my guy to make payments. The client made the first payment and then defaulted on the payment arrangement. By September, the guy was second-guessing me to the lawyer who had originally referred him to me about the hopelessness of the case that had been royally screwed up by his own negligence in not timely responding to the law suit. That created some tension between me and an old friend whom I’ve known for nearly twenty years, which I most assuredly did not appreciate. Fortunately, after hearing the whole story, my old friend backed me up on this, which finally put an end to the second-guessing. Then, unhappy with a problem of his own creation, he stiffed me on the last $2500 of his bill. I have not heard from him since the end of September of 2007. After it became obvious that he wasn’t going to pay me, I decided to sit on the thing for a year or so and then turn it over for collection. I wrote the obligation off this summer when my computer was stolen. That now brings you up to speed to today’s events. This morning, I get a call from the client. Not surprisingly, plaintiff’s counsel had taken action to execute on his judgment and had sent the sheriff out to padlock the guy’s business, which is a sure way to get someone’s attention. The client actually had the gall to call me to ask whether I would help him. And he actually had the nerve to be surprised when I told him that until he pays me what I’ve been owed for the last 13 months, I will not do anything to help him. Supposedly, he’s bringing me money today, but I’ve heard this before from him, and I will believe it when I see it. “Chutzpah” is one of those very useful and wonderful Yiddish words that has made its way into common usage in the United States. According to The Joy of Yiddish, chutzpah is defined as “gall, brazen nerve, effrontery, incredible ‘guts,’ presumption plus arrogance such as no other word and no other language can do justice to.” This client is the walking, breathing, definition of chutzpah, calling me like that and asking me to help, knowing that he owes me a substantial sum of money after second-guessing me and then refusing to communicate with me or pay me for more than a year. It’s absolutely astonishing. I’ve been sitting here, just shaking my head in disbelief since that call came in. Unbelievable. Just unbelievable. UPDATE, 10:30 P.M.: Not surprisingly, the guy didn’t show up with money today, and he at least was smart enough not to call me to ask me for help again. My guess is that until I sue him for the fees he owes me, I’ve heard the last I’m going to hear from this deadbeat. Good riddance. Hat tip to reader Stu Younkin for bringing this to my attention…. Middletown â€” For the first time in decades, Belle Grove Plantation commemorated the Civil War alone. The entirety of this yearâ€™s Battle of Cedar Creek re-enactment took place on the adjoining Civil War Battlefield south of Middletown, leaving Belle Grove visitors to contemplate gentler things. A league of women in hoop skirts told guests about everything from Civil War food rations to parlor games Sunday as the sounds of musket fire and cannon blasts echoed from the battlefield next door. The separate events stemmed from a disagreement in June between Belle Grove Inc. and the Cedar Creek Battlefield Foundation over the expansion of a quarry near the 18th century plantation and the adjoining battlefield. Elizabeth McClung, executive director of Belle Grove, said of this weekendâ€™s divided festivities, â€œWe donâ€™t really see it as separate, but complimentary events. They provide battle re-enactment and we provide the social history. In addition to a wreath-laying ceremony Sunday afternoon in honor of all those affected by the battle on Oct. 19, 1864, the mansion brought in the Frederick [Md.] Ladies Relief Society, a Civil War-based living history organization, to give tours of the plantation house turned museum. On Saturday and Sunday, people from all over the United States, including California, Michigan, Texas, and Washington state, drove up the plantationâ€™s long entrance. Rather than hearing a litany of battle names and war-related dates, visitors instead learned of the Cooley family, which lived in the plantation house when the battle broke out in 1864. Many civilians starved in those years, but not the Cooleys, who probably would have been â€œcomfortableâ€ during the war, said Marty Riddell, vice chairwoman of FLRS. They had money, she said, and were able to continue raising livestock and growing vegetables in their garden. Still, they werenâ€™t immune to the common inconveniences of the times, Riddell said. Cut off from drinks like coffee, the Cooleys probably made a substitute concoction composed of sweet potatoes and dried chicory. Black molasses made a nice fill-in for sugar, and if the family wanted salt, they probably scraped it off the ground of their smokehouse. Riddell has been participating in the Belle Grove battle commemoration for the past 10 years, and said the crowd this year was particularly sparse. â€œIâ€™m not sure why. Maybe itâ€™s the economy,â€ she said. Attendance figures were not available Sunday, McClung said. Visitors learned how to produce fine lacewear through needlework and knitting â€” which continued to be the vogue throughout the war, even as entire cities were reduced to rubble. Another guide told of how the Cooleys moved to safer ground when the bullets began to fly around the mansion on Oct. 19, 1864. A few stayed behind, as was the tradition, to â€œmake sure that not too much walked awayâ€ in the hands of soldiers, said Larry Keener-Farley. Several shots hit the front of the plantation house in the rain of gunfire, but â€œif a [mortar] shell would have come in and exploded, the damage and the resulting fire could have destroyed the house,â€ Keener-Farley said. He loves to tell visitors about Confederate Maj. Gen. Stephen D. Ramseurâ€™s death in the mansion. During the Battle of Cedar Creek, he had been wounded once and had two horses shot from beneath him, but he still rallied his men. He was wounded in both lungs and died the next day. After he took his last breath, Union officers visited Ramseurâ€™s body in Belle Groveâ€™s library. â€œThey were killing each other during the day, but when the battle was over, they would stop to honor a gallant foe,â€ Keener-Farley said. Dave Lamb, an archaeologist from Des Moines, Iowa, stopped to visit the plantation during a pilgrimage to Middletown. Since he was a little boy, Lamb had been hearing stories about his great-grandfather being captured at the Battle of Cedar Creek and taken to a Confederate prison camp outside of Savannah, Ga. In the front yard of Belle Grove, a group of soldiers lounged and laughed, playing fiddle music and singing. The scene mimicked a picture of war-time Belle Grove, minus the battle. That this sort of thing happened at all is a tragedy, but not so much of a tragedy as a stewardship organization that abrogated its sacred duty, all for eight lousy acres. And my guess is that attendance was down at the Foundation’s event because people heeded the call to boycott an organization that would sell its soul to the devil for eight acres. I’m glad people stayed away. Maybe, just maybe, the Foundation will get the message that it screwed up in epic terms. At least I hope so. Hat tip to reader Todd Berkoff for bringing this to my attention. Milfordâ€™s general finally has his statue. On Sunday, June 29, the Milford Museum unveiled its monument to Gen. Alfred Torbert, a 7-foot bronze statue that now stands less than a mile down Walnut Street from where the Civil War general lived 130 years ago. â€œThis should have been done a long time ago,â€ said Marvin Schelhouse, chairman of the committee that designed, raised funds for and installed the statue. The statue will present an opportunity for Milfordians to learn about â€œa local, historical figure of extraordinary talents,â€ Milford Mayor Dan Marabello said at the dedication ceremony. For Schelhouse, the statue is the culmination of more than 40 years of research and dedication to Torbertâ€™s life and achievements. â€œIâ€™ve been building toward this since 1964,â€ he said. The former Marine has been a Civil War buff since before he enlisted, and he spent much of his time in the Marine Corps base at Quantico, Va., studying Torbert. And as it turns out, he contributed more than enthusiasm to the project. Two months ago, when the statue arrived, it was almost perfect, except for the sword in its hand, which was almost a foot too long. The museum had a replacement ready well before the unveiling, but actually swapping out one sword for the other required a bit of brute force, and two of the hooks that held the sword onto the statueâ€™s belt snapped off in the process. Thatâ€™s not an easy thing to replace, but Schelhouse found the perfect replacement in a surprising place â€“ his own closet. The statue is now wearing two hooks from his own replica Civil War belt. The push to build a statue began in January 2007, and was a community effort from the beginning. The cost to commission the work was supported largely by donations from individuals and private companies. Milford School District Superintendent Bob Smith and his assistant, Peggy Short, took over 100 reference photographs for the sculptor to use â€“ a good thing, since they ended up giving the job to a sculptor in Beijing, China, who would have had to fly 8,000 miles to see the models first-hand. Schelhouse said that price was the biggest factor in commissioning the job outside the United States. â€œMuseums are poor. We scrape money where we can,â€ he said. Ze Feng Tao, the artist and owner of the local Portrait For You art studio, volunteered to be the projectâ€™s liaison to China, making contact with the artist and reporting progress back to Milford. â€œI figured the liaison would have to be in China for as much as a month. Tao was there for four months,â€ Schelhouse said. Torbert was born in Georgetown as the youngest of seven children, and entered the United States Military Academy in West Point after high school, he received a second lieutenantâ€™s commission after graduation. In 1861, he turned down commission to serve in the Confederate Army, opting to stay loyal to the Union. He commanded both infantry and cavalry in the Civil War, first as colonel of the 1st New Jersey Infantry â€“ part of the Army of the Potomac, the largest Union force in the eastern front â€“ and then as commander of the 1st Division of the Army of the Potomacâ€™s Cavalry Corps. He fought in the campaign surrounding the Battle of Gettysburg, and in 1865 briefly commanded the entire Army of the Shenandoah. â€œHeâ€™s a genuine hero,â€ Schelhouse said. After the war, Torbert took on a series of diplomatic posts in Cuba, France and El Salvador before settling down in Milford. He died in 1880 in the sinking of the S.S. Vera Cruz, and is buried in the Methodist Episcopal Cemetery in Milford. â€œItâ€™s easy to pick out which grave is General Torbertâ€™s â€“ itâ€™s the biggest monument in the cemetery,â€ said Rev. Earle Baker, who gave an invocation and benediction at the ceremony. Torbert, of course, had the dubious honor of being one of three generals fired by Phil Sheridan during the last year of the Civil War. He was a decent soldier who was out of his element commanding cavalry and then was punished for it by Sheridan.